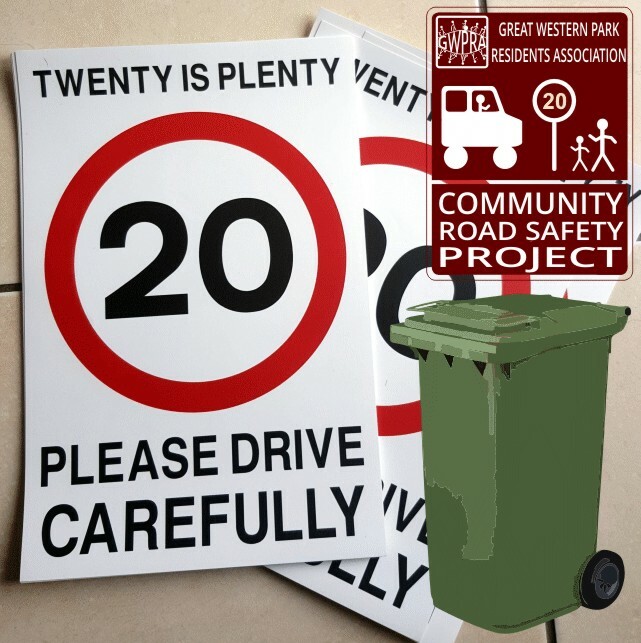 Wheelie Bin Stickers to help support the Community Road Safety Project are now available for all Residents of GWP. They are available at Boundary Park Pavilion, Costa Coffee and Best One and will be at GWPRA monthly meetings and other community events, such as the Community Cafe (Thursdays 10-12 at the Northern Neighbourhood Community Centre). Kindly provided for Residents by Taylor Wimpey.